In fact, they said, “HavenCon5 fun and geekery” is set for April 19-21 again at the Doubletree Hilton North in Austin, and tickets are already available at HavenConTx.org. And you can reserve a room in the block of rooms set aside at the hotel for HavenCon attendees here. The deadline to get the special HavenCon rate is March 19. 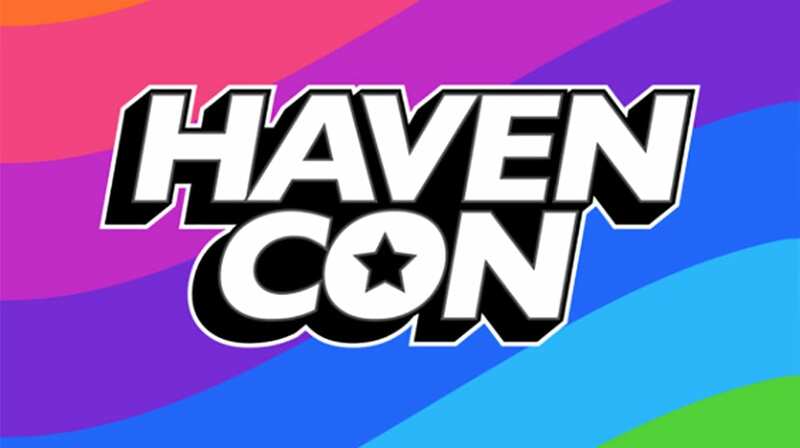 HavenCon focuses on the LGBTQIA+ geek and gamer communities. You can find applications to be a vendor at the con and forms for submitting panel and event suggestions online, too. The deadline for both is Feb. 28. Feb. 28 is also the deadline to apply to volunteer with the con and to arrange IRL meetups. Tracee Lee Cocco, Lt. Jae for four seasons on Star Trek: The Next Generation, is already confirmed as a special guest. More special guests are yet to be announced. Tickets are available at a variety of levels. A three-day pass covering all HavenCon events except VIP exclusives is $55. A youth three-day pass is $30, but those under 18 are required to have a parent or guardian on site at all times to adhere to state law. VIP passes are $150, and get you into all HavenCon events plus several VIP exclusives, including the VIP Mixer and other VIP events. The Ambassador pass is $500 and covers all HavenCon events including all VIP events and two nights at the host hotel. An Ambassador+1 pass is $600 and offers access to all events and two nights at the hotel for two people. Single day passes are available for $25 for Friday, Saturday or Sunday, and One Night Only passes, for $15, get you into one night of evening events, which begin at 7 p.m. Anyone attending an all-night event on a One Night Only pass will be have to leave by 7 a.m. or buy a day pass.